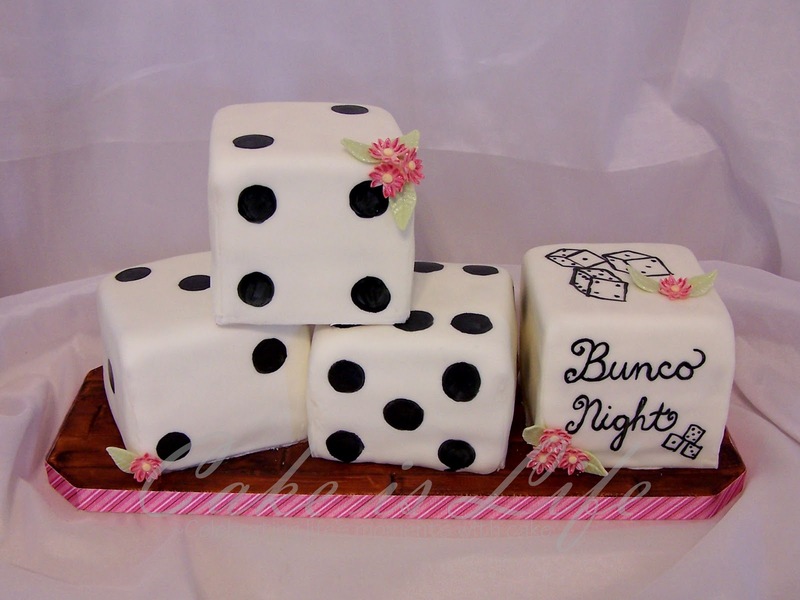 Although any snacks are well-appreciated come Bunco night, sometimes what really gets us geared up for rolling the dice is the sweet stuff. We're talking cookies, cakes, brownies... you know the drill, ladies. A few Bunco nights ago, Lindsay brought little strawberry shortcakes for each player to enjoy. A little messy, yes, a true finger food, no... but delicious and (mostly) eaten up nonetheless! 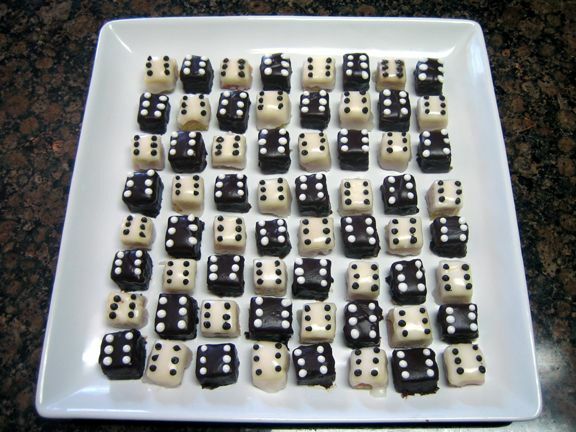 This past Monday was our March Bunco night and Catherine had just the idea for a fun new dessert - petit fours in the likeness of dice! We knew that these would be a sure fire hit. 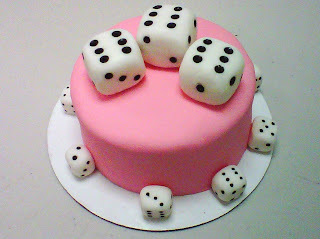 After all, they're small, tasty, and feminine too, besides being the perfect shape for dice to begin with. Our local Publix bakery was happy to oblige Catherine's swell idea, and the results are below. Yum! And isn't the tiered dessert stand that Catherine's mother-in-law gave her for Christmas just perfect?!?! 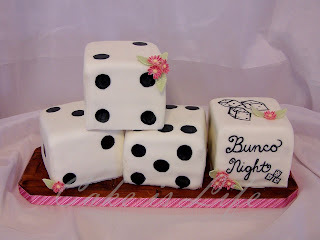 After the success of these petit fours, this got us thinking about other Bunco-themed desserts to try at future Bunco nights. The web is the perfect resource for inspiration. 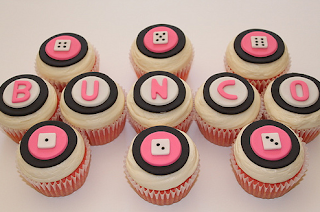 Just look at these adorable sweets that other Bunco players are creating out there! 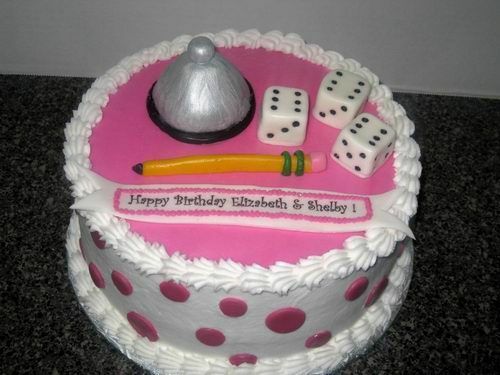 We can't wait to borrow a few of these adorable ideas in the future. Happy rolling and sweets-snacking, ladies!